You're probably thinking "I'm a woodworker. I don't need wrenches." False. 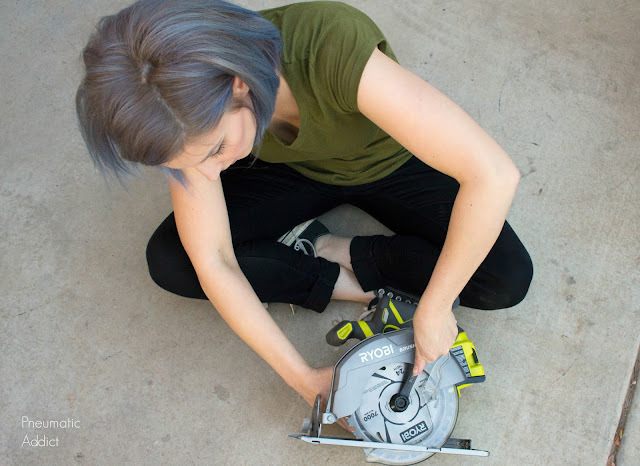 Whether it's tightening carriage bolts on table legs, or driving lag screws, I've often found myself needing a wrench or two to get the job done. I recently was sent the new Husky Universal Combination Wrench sets and they motivated me to up my wrench game. 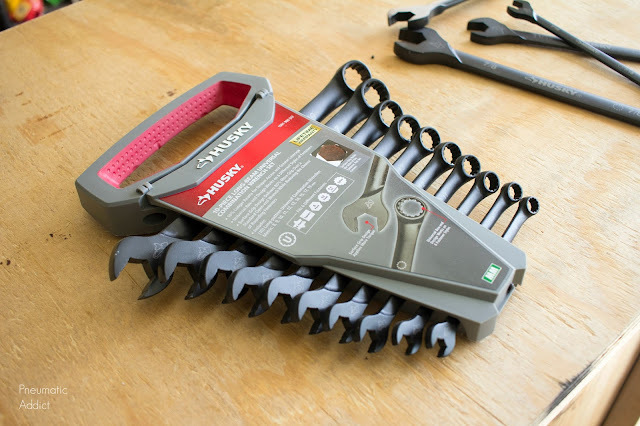 I know wrenches seem like a funny thing to get exited about, but these things are awesome! 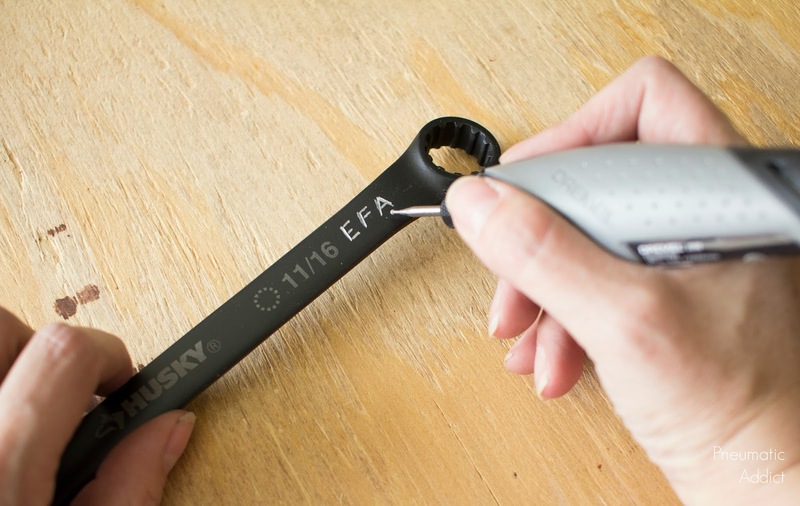 The Husky wrench sets come in both metric and standard (for us weird Americans). My husband is a maker too. He works on totally different stuff (he builds drift cars), but there is a lot of overlap. We are always stealing each other's tools and aren't always the best at putting them back where we found them. As soon as I opened my sweet new wrenches, the first thing I did was to engrave my initials on each and every single one! Paws off babe! 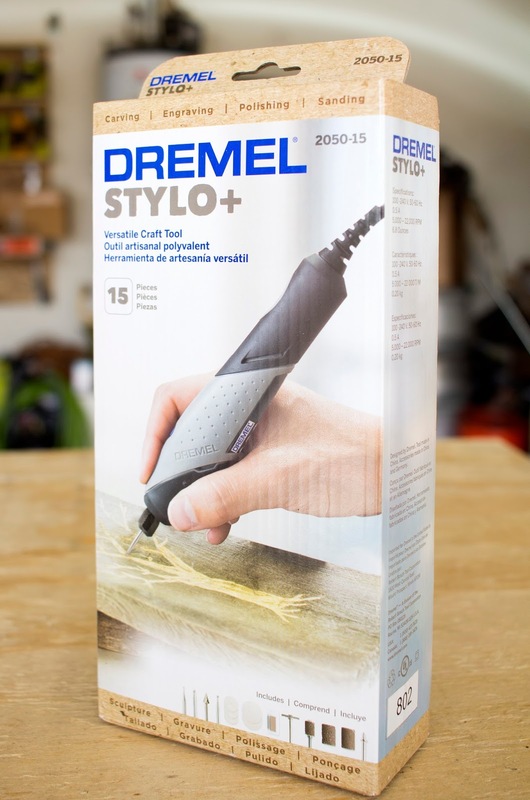 I have a couple Dremel rotary tools, but I reached for my new Dremel Stylo. It's a little smaller than a standard Dremel and fits very comfortably in my tiny hands. It's light-weight and the power button is right on top of the grip as well, so it's a perfect tool for engraving. I'm not the best at free-handing, but I felt like I had complete control with the Stylo. Once I marked my territory, I gave the Husky universal wrenches a test run. Those thin little wrenches that come in the box with power tools are worthless, plus I always end up losing them anyways. From now on, when I change my saw blades, I'll pull out my sweet wrench set. Now, are you ready for the big guns? 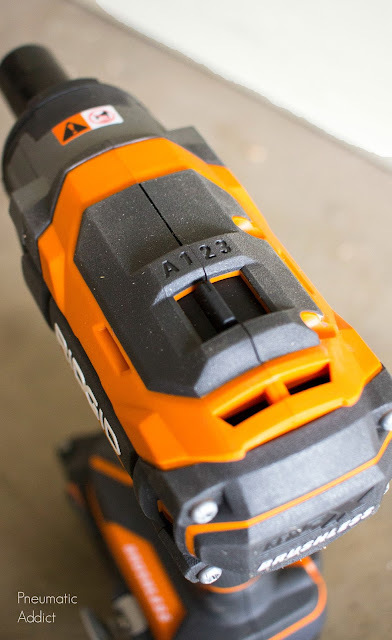 I recently received a Ridgid Cordless Impact Wrench and it's life changing. Not to be confused with an impact driver, an impact wrench has a larger, 1/2" square drive and it much more powerful. It's designed to drive and loosen large nuts and bolts. You know those pneumatic guns they use at the mechanic's shop to remove your lug nuts? That's an impact wrench. 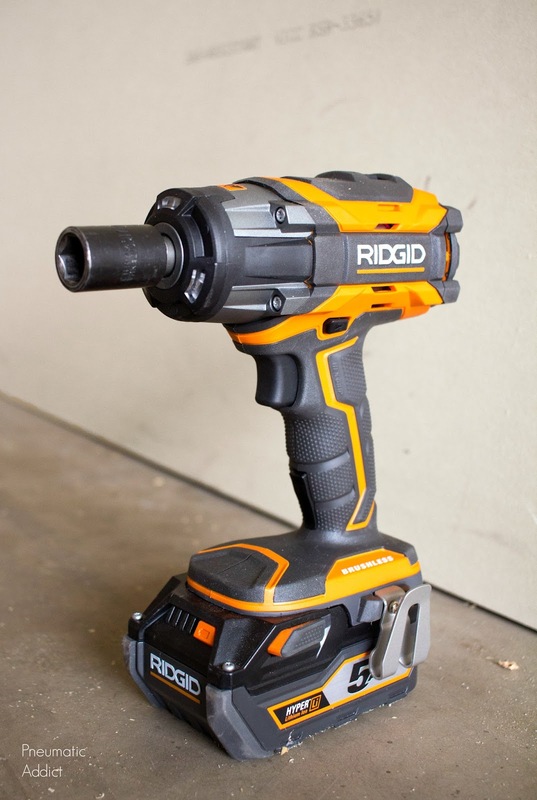 One of the cool things about this Ridgid Impact Wrench is that it's brushless. 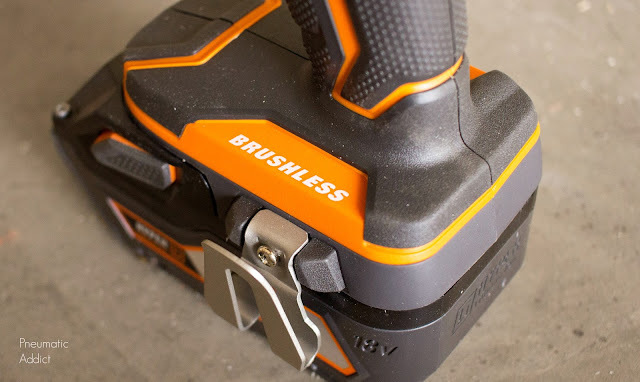 You may remember when I talked about the best budget impact driver, and the benefits of a brushless motor. 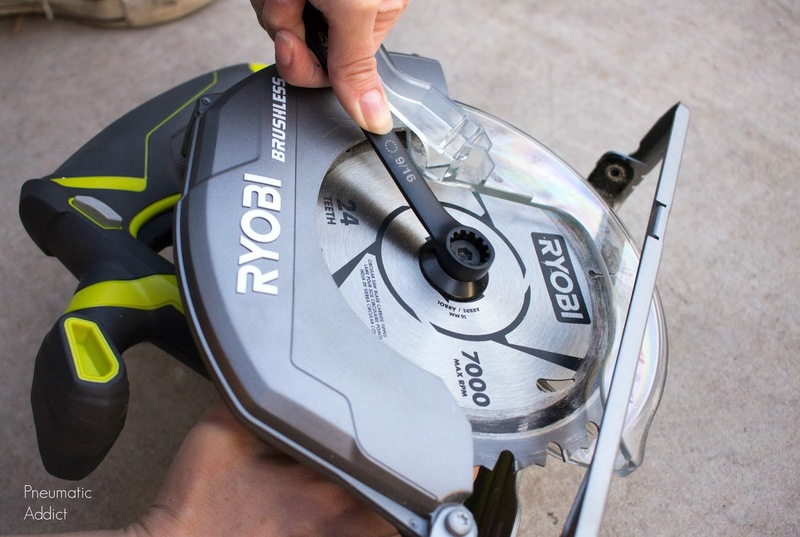 Basically, you're gonna get more power and the tool is going to last longer if it's brushless. Even though it has a maximum torque output of 450 ft. lbs, it also has four different settings to provide adjustable power and speed for heavy duty jobs or slightly more delicate work. Someone on the Ridgid design team is an absolute genius! 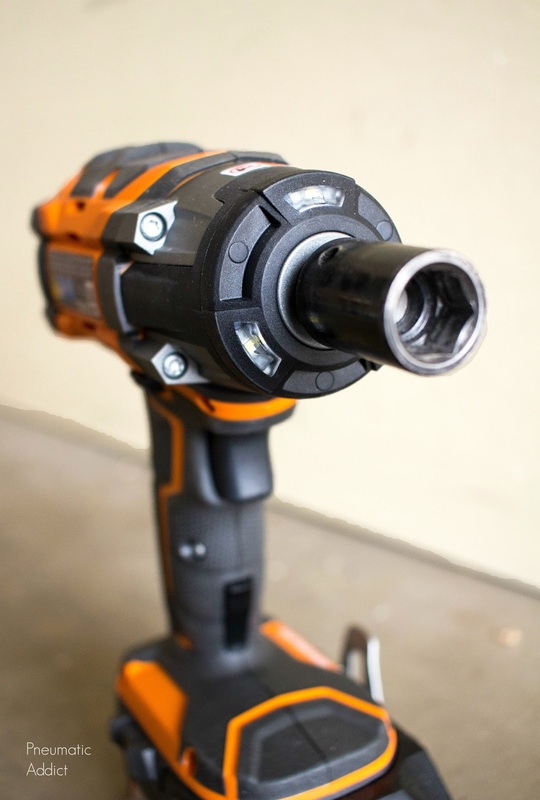 Not only does the 18v Cordless wrench have three LED lights, they are triggered by a separate squeeze-button in the handle. That means you can turn on the lights without spinning the motor. That's so helpful when working in dark corners! 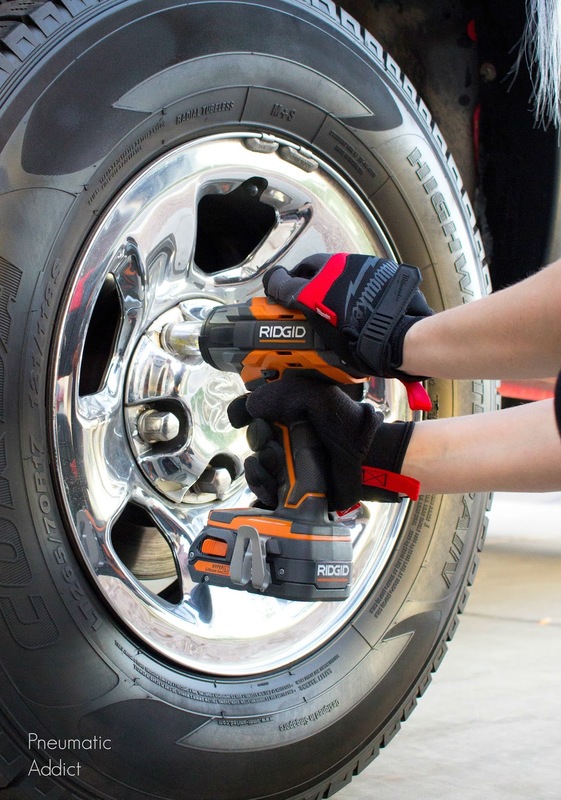 Once you've used an impact wrench on lug nuts, you'll never use a tire iron again! Whoever owned my truck before must have parked it in a saltwater pond every night. We have fought rust ever since we bought it. Breaking loose lugs from the rusty wheel studs has been a nightmare in the past, but the Ridgid had no problem getting them free. Unlike my husband, I don't enjoy working on vehicles, but since we're tightwads, it's a necessary evil. As I've mentioned, I don't have the strongest hands, so they are easily and often cut up. 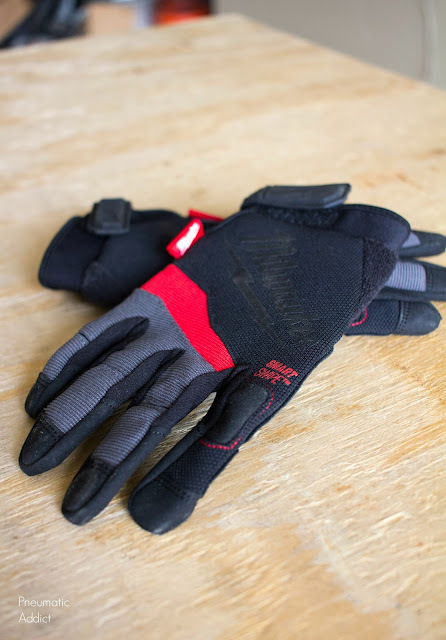 Now that I have a pair of Milwaukee Performance Work Gloves, I'll be trying much harder to keep my hands safe. Once again, those product designers were using their heads, because these gloves are pretty awesome. 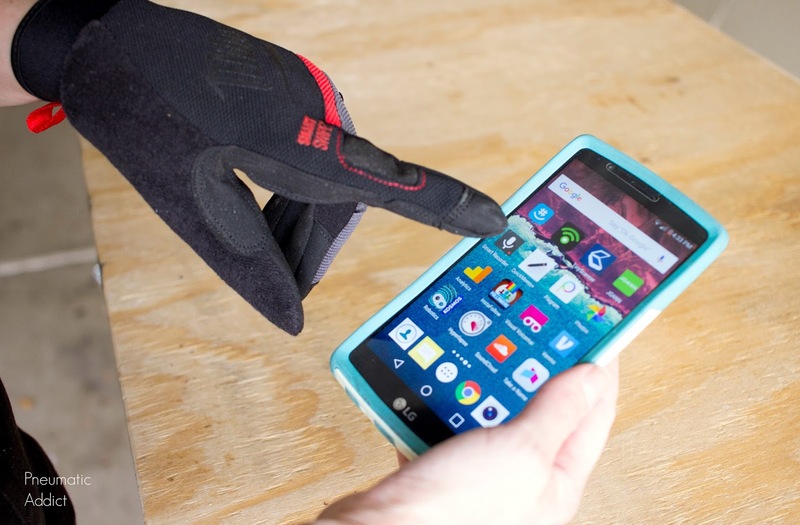 My new gloves have electronic responsive fingertips and even knuckles on the index fingers! That means if my hands are full or covered in paint, I can use my knuckle to check Instagram. A blogger's dream come true! I feel like my tool stash is much better outfitted now and I'm ready to tackle any bolt that looks at me funny. Want to save these ideas? Feel free to pin the image below.